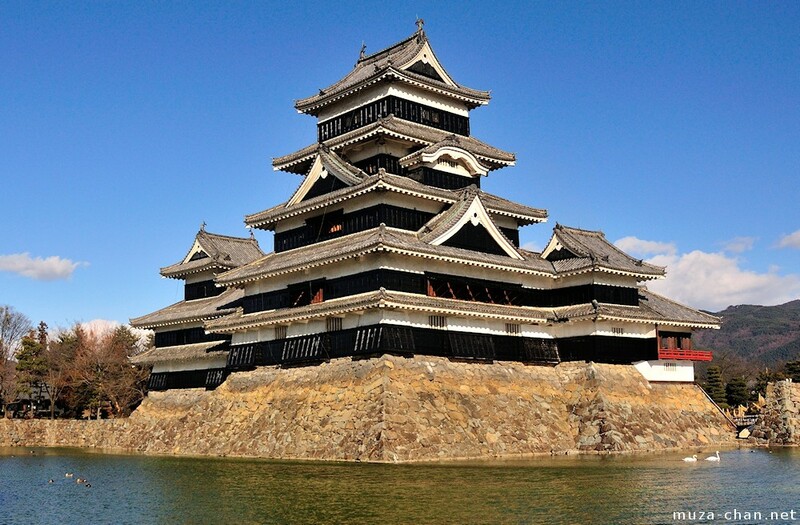 The Matsumoto Castle (also called Karasu-jō, the “Crow Castle"), is registered on the list of National Treasures of Japan with 5 structures, all of them towers. These towers are all connected, and in today’s photo you can see 4 of them: from left to right there’s the Northwest Small Tower (Inui Kotenshu), the Main Tower (Tenshu), the Southeast Connecting Tower (Tatsumi tsukeyagura) and the Moon-viewing Turret (Tsukimi Yagura). They were built in different time periods, and all of them survived in their original shape.